I'm a little late with this post. Seth and I spent Thursday at the hospital with Salomae. At the pre-op area we were informed that we weren't as informed beforehand as we thought. If that makes any sense. Instead of the two procedures that we thought she was having, Sally was having four procedures. They did bone marrow biopsies, got a stomach juice sample, and biopsied the mass in her back. We thought they were going to do only the bone biopsy in her back, but the doctor told us that they would 'try' to get to the mass and get some of that instead. An hour after we left her in radiology, the doctor came out and (with a big smile) said, "We got a syringe full of pus." Delightful. As nasty as that sounds, it's good news. We can hope that over the next few months some of the TB bacteria will grow so that we can be sure it isn't the strain that's resistant to medication. The hematologist called me Friday to let me know that the bone marrow came back fine. As far as she's concerned, Salomae is as healthy as can be (not even anemic!). We started medication on Friday. The nurse came over as the kids were waking up and Seth was getting home. She made a big display of helping me to dispense the medications. It's not that difficult. Four suspensions, four gulps by the little girl, four times Mommy counts and coerces. With the nurse present, she called the pharmacy to make sure we were doing the right doses, all the kids came streaming out into the living room to watch, Seth had to pepper the nurse with questions (mostly related to whether she was required to be there), and the whole thing just seemed more complicated. We left town that afternoon and I've managed to give her the medicine (on vacation) without fanfare for three days now. She's getting smart about it and yesterday I had to give her a swallow of coke to help her get them down. Thank you for all of your emails and comments before the procedure and since then. Sorry I've been so late in posting about the day. If I pepper the 'update' posts with pictures, will they be more easily digested? Today I took Salomae, Ella, and Josiah to see the pediatric hematologist. The IDS (see post from a few days ago for that acronym) discovered that Salomae is anemic. Compared to major medical issues at the forefront, anemia isn't a main concern right now. Neither is the hernia that the surgeon discovered a few weeks ago. Did I forget to mention those little 'issues'? Whoops. Insert photo montage of children now. It looks like they are having a wonderful time together. Real good quality time, taking out aggressions in a healthy way. I'm such a good mom. It's bound to happen though. The big brother gets cocky with his noodley skills. He looses control of his body and lands on the smaller brother. He's got moves and I've got great shutter speed on my new camera. The after effects of the genius lunge-swing-fly noodle move. "I think my arm muscle got broke." Once the drama dies down, I notice that the sweet silent baby is quiet because 1-he's mesmerized by the action and 2-he's snacking on clover. This is his, "Don't think about telling ME not to eat grass" look. He's 75 stuck in an 8 month old body. The sheer torture. We started off the morning by racing around to be timely to our 9 am appointment with the blood specialist (aka pediatric hematologist). I followed the directions to perfection but somehow we end up in the pediatric oncology wing. Assuming that I'm mistaken I asked the receptionist where I should be. Oddly enough, we were at the right place. Because, I guess, when your blood tests come back like Salomae's did a few weeks ago...the doctors think you might have leukemia. If that doesn't beat all the rest of the happenings. Nice of them to let me hear that from the specialist while sitting there with the children. I'll insert another picture now. Thankfully, the hematologist had mercy on me and only let a few hours pass before she called with the results from today. Salomae's blood work was normal. Still waiting on the anemia thing to be cleared up. Probably still having bone marrow drawn on Thursday, just because. After talking to the Health Department, two doctors, and two pharmacies; I think we are set for getting Salomae's medications started on Friday. Nice that the Health department sends a dear soul over to the house to help me dose my child. I may be incapable of making her drink the four liquids that are required. Daily. I'm wondering if they think we will have to hold her down. Maybe she can help with some housework after we do the medicine. Or maybe she can do the medicine while I get a load of laundry going. By mid-afternoon things were not looking good at our house. We were trying to ride bikes to the library, but Josiah kept puking on me. I changed him, then me. Then him, then me. Then wondered if we would really smell all that bad if we just kept the pukey clothes on. Then changed him and me. We made it out and back alive. Then Salomae locked herself in the bathroom. It had to be the kid who doesn't speak English. While I was cooking dinner and talking to the husband who is enjoying calmness in a hotel room. Did I mention that? He's out of town. Fish sticks all around, followed by popsicles outside. Here's one sane second of the day. No one flipped off of the hammock or threw another child off in the taking of this photo. It's a perfect end to a very. Long. Day. Nine years ago I was on my honeymoon. I had just graduated from college. Seth and I had aspirations to enjoy wedded bliss flying by the seat of our pants. 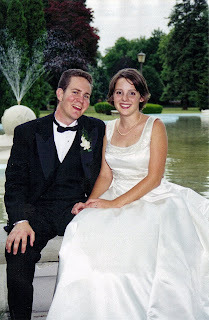 We got married on June 20, moved in August, and Seth started seminary shortly thereafter. He was working on his master's degree and we were planning on moving to Africa as missionaries. We didn't have a job or insurance or a really good plan. I was clueless. So was Seth. We just picked out something that sounded good and went with it. Almost like we were picking a video rental, but it was our future. Kids were NOT part of the bargain. What a surprise when we found out that our first child was expected shortly after our first anniversary! Everything changed quickly. 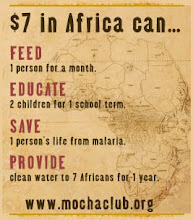 No more seminary, no more Africa, no more living sans insurance. We quickly tried to become "responsible". Even after the birth of our little piece of heaven; we knew that God couldn't possibly bless us with another beautiful, perfect child. So we figured we'd be one of those "only child" families. Then Elijah came along. By the time he was born, I kind of liked kids. 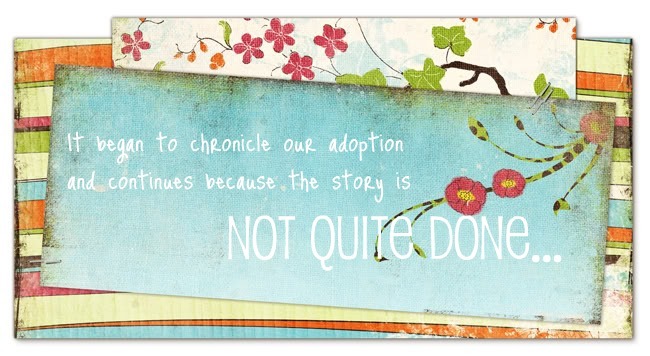 When we briefly talked about a third; our discussion centered on adoption. That was weird to many people since we could "have our own" kids. Pretty soon Ella showed up. It was only 2 years later that the bug hit again and paperwork was being sent here and there. Now nine years later with five children and insurance, but still just as irresponsible as ever. We are obviously in dire need of a family portrait! A post several months ago shared this title, but it was a celebratory post. We have a date next week for Salomae's biopsy. We just got the anticipated phone call yesterday. I've been holding my breath waiting for this. Not unlike our adoption, this medical diagnosis has been on a 'hurry up and wait' timeline. The professionals freak out and frantically yelp. Then they don't call me the next day or the next or the day after that...we don't hear anything until I call the nurses and bug them. I spoke with the infectious disease specialist last week and got her email address. She's been very good about answering questions and trying to get this biopsy done. I guess she worked some magic or all the ducks got in their assigned rows. The pediatric surgeon will be on vacation so we will have to use one of his partners. I finished that last sentence and my cell phone rang. It was our infectious disease specialist (from here on out she will be known as IDS, to ease the burden on my fingers). She met the surgeon today and he told her that he wasn't going to do the surgery. He felt it was too dangerous. So we are going to have a procedure done Tuesday to try and get some fluid from her lungs. Perhaps there will be a bit'o'bacteria that can be cultured. I can't believe that I started this post four days ago (today is June 23). The scoop as of this very moment (subject to change)...Salomae is having a bone biopsy done on Thursday (since the lung juice was probably not going to work out so well). Hopefully, Friday she will start medications for TB. We saw a pediatric hematologist this morning who is concerned and wants to get some bone marrow from Salomae on Thursday while she's knocked out. I'm going to post this right now before things change again! Happy Father's Day to all the dads out there! Not that very many dads read my blog...but...it's the sentiment, right? I'm really posting because yesterday the Fed Ex truck came. I danced around singing, "Happy Anniversary-Birthday-Late Mother's Day tooo me!" I got a new camera. I'm thrilled. I LOVED my old camera. I really miss it. The charger that I blew up in Ethiopia was for that camera. Once I priced a new charger and priced selling my camera, I decided it was time for an upgrade. I will have to admit I was a bit nervous. After all, I don't buy stuff new. Nothing. Ever. So, I didn't get to handle the camera in a store and press all the shiny buttons. I got to read about it late at night on epinions.com. Then I bid on it late at night on ebay and got a really good price. Or so I think (determined by my late night comparisions). So I've had this camera attached to my eyeball since yesterday afternoon. You've got to know what's coming. Pictures!! Loads and loads of wonderful pictures. Not wonderful because I'm a great photographer. Wonderful because I've had tons of mommy guilt about missing photo ops since we got home. I'm making up for lost time. We had dinner yesterday with friends who have been blessed with a child-sized mudhole. Bliss. Ahhh, take a closer look! Eli was screaming, "There's an ant carrying a piece of bacon in here!" The kids today after church today. The girls in their dresses that my mom made for them. Popsicles and no naps equal sillies. Josiah's hand. I'm trying to figure things out with the camera-and who better to experiment on than a chubby baby? So stinking cute. Sometimes life is overwhelming. It's not bad, just more than you expected at one time. I'm thankful that when I woke up on Monday; I didn't know what the rest of the week would hold. I certainly can't tell you about our entire week. Wednesday alone could fill 4 or 5 posts (since I'm so long winded). 7- Doctor's appointments this week. 6- Doctor's appointments (out of 7) with all five children in tow. 6- Times I've been told by nurses that my kids are very well behaved and get along so well. 20- Pounds that Josiah weighed at his well baby check-up. 1- Shot that the doc convinced me to give him today. 2- Times we were caught going into doctor's offices during a downpour. 4- Times I've been asked if I run a daycare (just this week). 10- Minutes I was stuck outside of the Sunoco restroom with 5 children as I spoke to the beer delivery man about me not running a daycare. Then about which kids were mine. Then about where they came from. Then about whether I was married and if my husband had a really good job. Then about Sally's hair and who would do it later, because "she's probably going to need treatments." Evidently, this particular beer man also runs a salon downtown. 4- Times that my "limp home mode" light came on in my van. 6,000- Miles it's been since I last had my oil changed. Whoops. 4- Hours it took to get my oil changed today. We left the van after I heard the wait time. 3- Blocks from the oil changing guy to our house. 21- Pounds of strawberries we picked with our friends on Wednesday. 9- Pounds of strawberries we brought home. Salomae and I cut and washed all 9 pounds last night. 266-My initial tab at the grocery store Wednesday; it was a record setter. After coupons I spent merely $250. 1.60- My savings per gallon the next time I fill Moby up because of the expensive grocery bill. 3- Visits to the Orthodics office for him to get Salomae's brace 'just right'. 1- Little yellow-Dumbo-covered back brace that now sits in the girl's bedroom alongside a prosthetic leg. 2.52- My total today at the "Old Tyme Candy Shoppe" after allowing each kid to pick out 10 pieces of candy from the bins. Does it seem quaint because two words are misspelled? It was the hot pink exterior and the sign saying "2 cent candy" that drew me in. And the fact that we would be walking past the Longhorn Saloon on our way there. I just adore the smell of urine on a hot, muggy day. Life lessons abound during weeks like this. 30- Minutes in the candy store. Average time spent picking out each individual piece of candy= 3 minutes. That's a long time to hold a 20 pound wiggling baby in small aisles with colorful jars stacked on rickety shelves. 5- Mornings I have managed to get up before everyone else and be alone with God. He's the only reason I made it through the past five days without injuring someone. I have a page of hastily scribbled notes from the doctor's phone call yesterday. They are almost worthless, stating things like: "no bike or hammock", "brace-clam shell", and "surgery with gen surgeon." It was a gut wrenching phone call. I can't say our worst fears have been confirmed, because I can't even think about my worst fears. Though what I'm about to write may seem absolutely terrifying; I hung up the phone and thanked God for watching over my daughter. The MRI showed that Salomae's infectious mass is only in front of her vertebrae (this is good news). Her spinal cord is draped over the mass, and her vertebrae are in a precarious position (very bad news). The doctor then informed me that most children under the age of 5 who have this are paraplegic. 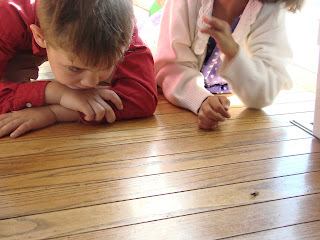 Since they are in developing countries, their parents don't get them medical help when the lump on their back shows up. Their bones deteriorate until one morning they can't move their legs, or perhaps they fall and injure themselves. When he said this, I stopped my note taking and sat their for half a second thinking about all of the bike accidents, sliding headfirst down the slide, flying off the hammock...and I almost wept because any of those things could have paralyzed Salomae. We are getting a brace for her back that will protect her from causing permanent injury to her spine. Until then, no physical kid activities because one fall at just the right angle would mean she spends the rest of her life in a wheelchair. The doctor was hanging up with me to consult a general surgeon about our case. They had scheduled an appointment for us at 2:00 with this surgeon, "Can you make it?" Uh, yeah. I tried not to think about the madness that would ensue in order to leave the house in 45 minutes (I had gone for a run and was still sitting in my sweaty clothes, no lunch, baby on my lap having a bottle). Thankfully, I have a friend who is able (and willing) to watch my four children. This surgeon will perform the biopsy that we need in order to successfully diagnose Salomae's infection. Most likely, it's tuberculosis. I know, freak out. We already did. Fast forward to our appointment at 2, which turned into 3:15...This doctor comes from the Big City only once a week. He expressed how lucky we are that there are two fantastic pediatric orthopedic surgeons at the hospital (who we already saw). Otherwise, we'd be traveling an hour or more to a children's hospital for these appointments. This doctor immediately put me at ease as he reminded me of the pastor who married Seth and I. He is a kind, straightforward doctor and explained things in a very clear way. We have three stages ahead of us. First, diagnosis (requiring a biopsy). Second, medication and then, surgeries to 'fix' her back. The biopsy is presenting him with a little difficulty. The mass is unapproachable from her back, so he will have to get it from her chest. He could try a needle, but perhaps won't get enough tissue for diagnosis. He could do it laproscopically, but same issue-not enough tissue. Perhaps even complications because of internal bleeding. Third option is to slice into her chest, pull back her ribs and access the stinky glob of infection from there. He said that would be the safest bet. Which seems weird to me. At any rate, he's trying to weigh everything to make sure we do what is best. She has a lot of major surgeries ahead of her, we'd like to have the least invasive procedure, maximize the amount of tissue for biopsy and culture, and keep her safe. He's consulting with a radiologist, pathologist, and the orthopedic surgeon. Then, he will call me today with a plan. We should be visiting the brace-man today for measurements to order the back brace. I've been taking my older daughter there for 3 years for a prosthetic leg. Now the leg-man is the brace-man, too. I needed to talk to them about a new foot anyway, killing two birds with one stone is so nice. I hope I don't sound lackadaisical about the dire situation that my daughter is in. The only thing I can do is thank God for his provision this far and pray that He continues to keep her safe. Beyond that, I don't know what to do except follow my notes that say, "no bike or hammock". Please pray that she stays safe and the doctors have wisdom in determining treatments and surgery. How's this for a teaser: we heard today about the MRI. I'm too tired to type about it right now. Don't fret--I'm sure after a good night's sleep I'll be rejuvenated and ready to write. Except, I haven't had a good night's sleep in 6 weeks. However, I think I'll manage. It's not bad news, just reality. In this case, reality is a little ugly. Maybe a lot ugly. Instead of the long story of my day--I'll give you this poignant post from Mary, her sister is currently volunteering at a hospital in Ethiopia. I couldn't help but imagine MY baby as the one she wrote about. Just a quickie--five families from AW are traveling to Ethiopia TODAY. I'm a little jealous, which seems weird. I was so anxious to get home, but would jump at the chance to go back (only if I took all 5 children). People told me that before I left, and I didn't believe them. Now I do. Since I'm not planning on spending college funds on a trip to ET anytime soon (I think the airfare would total about...$15,000), we can all live vicariously through these families. As long as they blog. I'll amend that--as long as they blog better than I did while WE were there and don't blow up any cameras or lose memory cards. Visit the Kidds, Cordells, Gardners, and Wests! Pray for them as you read about their week. While we were in Ethiopia, I kept having these 'I wish the kids were here' moments. I wanted to transport our experience home with us. So I asked the cameraman (lovingly dubbed Seth) to record everything we did. He was pretty annoyed. Riding around town was an experience that my kids would have loved. I would have been a ball of nerves...no carseats, seatbelts, or even traffic lanes. I kept harping on Seth to "RECORD this!" When I was at the hospital yesterday, I put this together while I waited (3 long hours) for Fetya's MRI to be done. The kids got a kick out of it and I thought I'd share it with you. We have been home for one month. I'm a little late in posting this, but these pictures were taken this weekend, one month after getting home. Today we have Fetya's MRI at 3:15. She is going under general anesthesia for the procedure. We are praying that this reveals something to the doctor's and sometime THIS week she can get the biopsy done. Thank you for your prayers regarding her health!